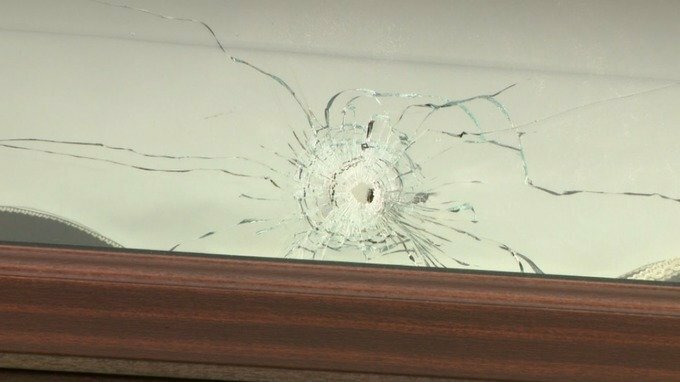 A number of people, including children, have escaped injury after shots were fired into a house in Coalisland, Co Tyrone. Bullets struck the front door of the property at Loughview Gardens shortly after midnight on Sunday, smashed windows and damaged a TV in the living room. He added: “Everyone has a right to live in a safe and stable community and this type of senseless and reckless criminality will not be tolerated. 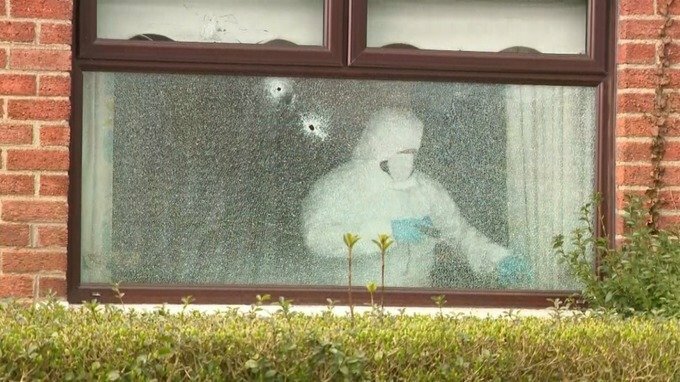 “The occupants of the house were at the back of their property when this attack was carried out. “It is understood a number of people, including children, were in the kitchen at the rear of the house when the gunmen struck. Detectives want anyone who saw suspicious activity in the area, or any cars being driven in a suspicious manner, to contact them on 101 or anonymously via Crimestoppers on 0800 555 111. CONCERNS have been raised again about the rights of people in the North claiming Irish citizenship after Brexit. It comes after a statement by British immigration minister Caroline Nokes on the same day Prime Minister Theresa May pledged to examine difficulties faced by Irish citizens who want to bring family members into the North. 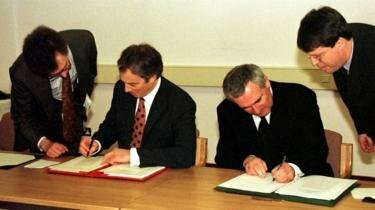 Under the 1998 Good Friday Agreement (GFA) people have the right to Irish or British citizenship. In response to a parliamentary question this week, Ms Kokes said: “Irish citizens resident in the UK who do not hold British citizenship will be eligible to apply to the EU Settlement Scheme if they choose. However, they do not need to so under the reciprocal Common Travel Area arrangements with Ireland.” The EU Settlement Scheme will allow EU citizens to continue living in Britain or the North of Ireland after Brexit. However, the Home Office has previously said it views people born in the North as British, a position some believe including myself is contrary to the GFA. 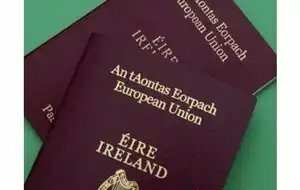 It has ment that family members of people born in the North of Ireland but claiming Irish citizenship may have difficulty securing residency. Daniel Holder, deputy director of the Committee on the Administration of Justice expressed concern. 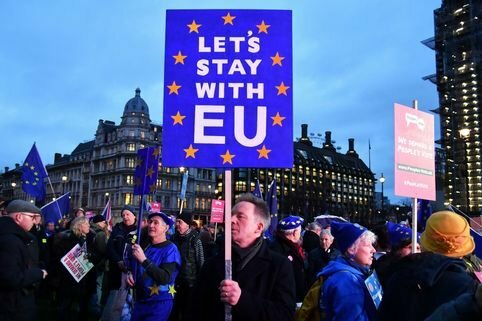 “Under the current Home Office position that the North of Ireland-born people should be treated as British, this means that no Irish citizen born in the North could benefit from the retained EU citizens’ rights under the Withdrawal Agreement, that are to be accessed by the EU Settlement Scheme,” he said. Mr Holder said Ms Nokes is at odds with the GFA. “Her position makes a mockery of the agreement’s pledge that it is the ‘birth right’ of people born in the North to be accepted as Irish or British (or both),” he said. 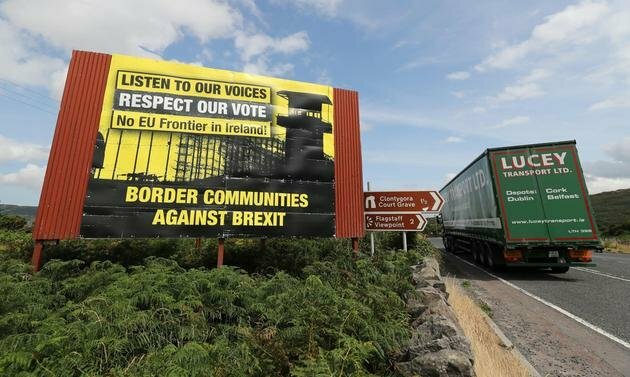 Back in December 2017 separate UK-EU commitments were made for arrangements for Irish citizens residing in the North of Ireland to continue to be able to exercise EU rights – but these arrangements were never put into place. “This Home Office position means Irish citizens here may be among the only EU citizens not to have a mechanism to retain some of their EU rights.” Ms Nokes caused controversy last year when she admitted to the House of Commons Northern Ireland Affairs Committee that she had not read the Good Friday Agreement “in its entity”. A Home Office spokesman said on Wednesday night it was ” absolutely committed to upholding the Belfast (‘Good Friday’) Agreement which confirms the birth right of the people of the North of Ireland to identify as British or Irish or both, as they may choose, and to hold both British and Irish citizenship. “We respect the right of the people in the North of Ireland to choose how they identify,” he said. WHILE Theresa May offered little fresh thinking on the Brexit crisis during her two-day visit to Belfast, which ended on Wednesday, she deserves credit for indicating that the alarming saga over citizenship rights endured by Co Derry woman Emma DeSouza could at last be close to a positive outcome. 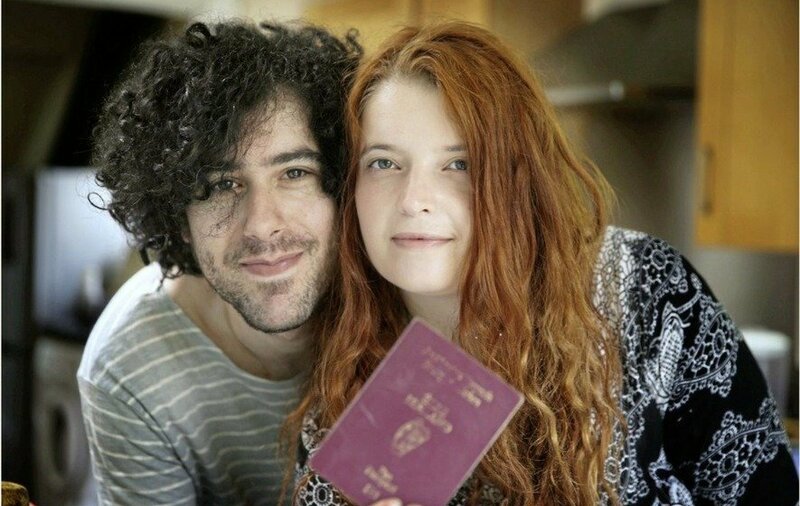 Mrs DeSouza, as a holder of an Irish passport, was ludicrously told by the UK’s Home Office that she needed to declare herself to be a British citizen if her US-born husband, Jake, was to be granted a visa officially allowing him to live at their Magherafelt home. After the issue was repeatedly highlighted by The Irish News, Mrs May said she had specifically asked Home Office Sajid Javid to consider how such cases could be addressed as a matter of urgency. There will be relief when Mr DeSouza’s application is finally approved but it remains disturbing that his wife needed to go to court in order to demonstrate her entitlement to an Irish identity under the Good Friday Agreement. 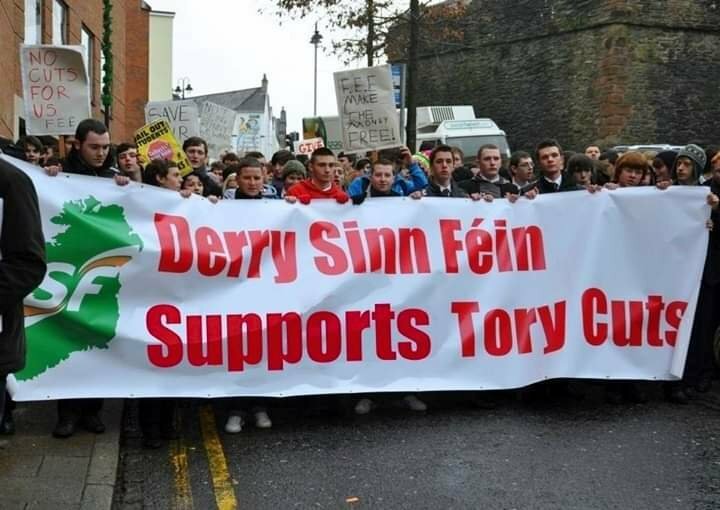 It is reasonable to assume that the majority of the 1,500-strong crowd at the weekend conference in Belfast, “Beyond Brexit – The Future of Ireland” , were Sinn Féin supporters. But this wasn’t solely a Sinn Féin ardfheis by another name – all sections of nationalism were represented in the room. 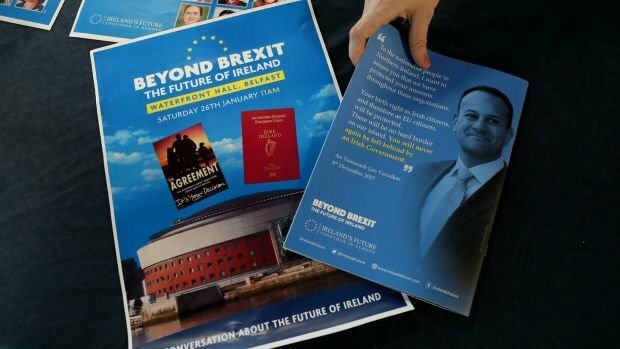 The well-organised conference included a glossy 30-page programme where the back page was given over to a picture of the Taoiseach and his December 2017 message to Northern nationalists: “You will never again be left behind by an Irish government.” That set the grumbling mood for the day. It seemed clear too from the conference that nationalist horizons have extended and that the idea of a united Ireland being achieved in the medium term is now a real goal of a considerable body of nationalism. 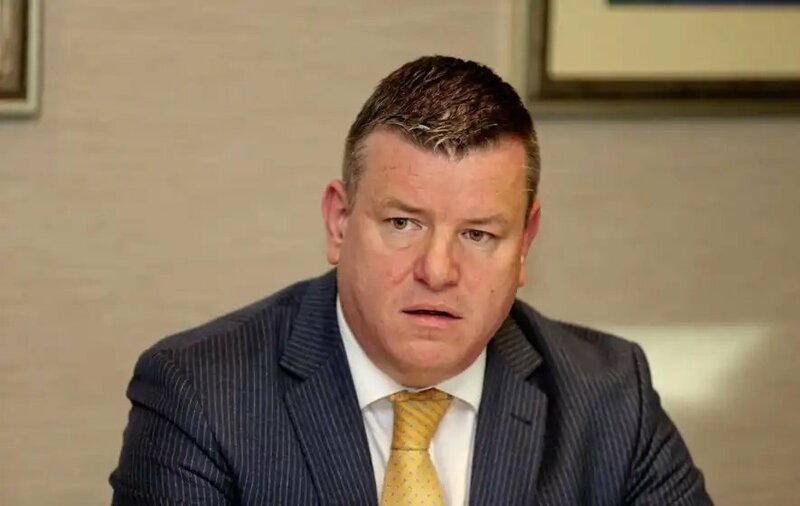 It’s a message that surely will upset unionism, but then again another message from the day as explicitly expressed by the organiser, Belfast solicitor Niall Murphy, is that unionism has only itself to blame for the current changes, uncertainties and tensions. Murphy, capturing the essential theme of the day, said “Brexit has changed everything” while referring to what he called the “DUP’s sneering contempt for parity of esteem” and the Irish language – a contempt, he felt, that was exacerbated by DUP MP Gregory Campbell’s “curry my yoghurt” take on the language and the DUP’s “cancellation of microscopic bursaries for the Donegal Gaeltacht”. 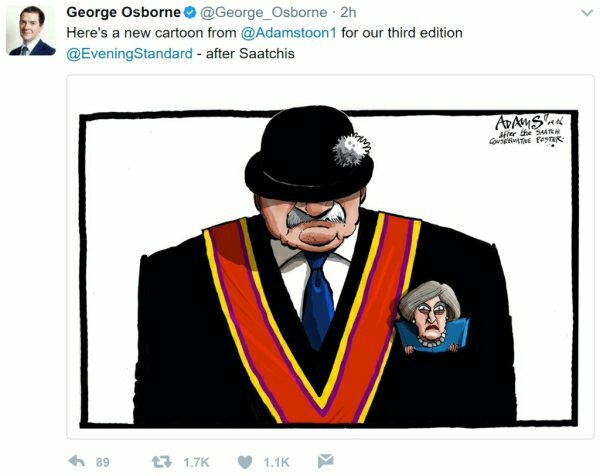 And he did a bit of his own currying of unionism, so to speak, by describing Northern Ireland as a “micro-jurisdiction”. Essentially this was nationalism speaking to nationalism although there were few people in the hall from a unionist or Protestant background. Unionist politicians weren’t invited but they will have heard the message nonetheless, and will have been alarmed by it. Southern politicians including Minister for Education Joe McHugh and Fianna Fail’s Dara Calleary, who spoke at the conference, will have detected the irate and sullen tones of some of the nationalist speakers, and they too will have had messages to bring back to Leo Varadkar and Micheál Martin: a message saying that a significant element of Northern nationalism is deeply unhappy and will need pacifying and placating. Sinn Féin president Mary Lou McDonald, who also spoke, was delighted with the message and surely feels that the day reinforced her repeated call for a Border poll on a united Ireland and the speedy convening of a forum to begin planning for Irish unity. Not everyone from a Northern nationalist background was enamoured of the occasion. 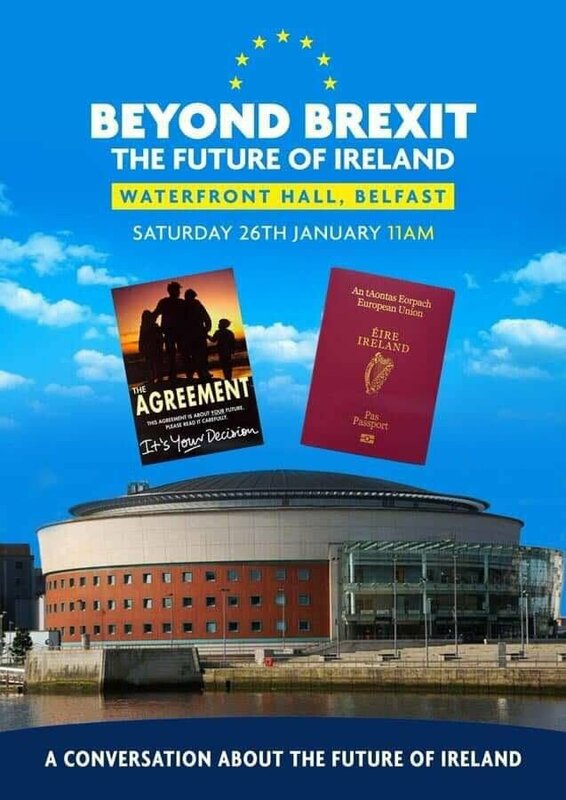 Tom Kelly, a Northern Ireland businessman and leading Remainer campaigner, refused to attend because he saw it as a nationalist “gurn-fest” – Northern Ireland for moan-fest. The Belfast-based journalist Eamonn Mallie was listed to speak on the programme but he pulled out because he was unhappy that the speakers did not reflect Northern Ireland society. He had requested there be a more balanced panel of speakers. In terms of Northern voices therefore it was left to SDLP leader Colum Eastwood to try to lower the temperature a little. This wasn’t 1968 and nationalists weren’t second-class citizens, he reminded the audience. “Those who have deliberately inflamed the narrative that unionism as a whole is unchanging, don’t believe in rights, and can’t be worked with – those people are wrong,” he said in challenging what appeared to be the dominant thought of the day. “We all have a duty to tell our unionist neighbours: ‘You belong to this place every bit as much as I do – therefore you have the very same right to shape the future of this island,’” he added. In other words, more calm, more thought to the two communities, less volatile rhetoric, which in Northern Ireland always is good advice. Still, the big message from Saturday was that the Northern nationalist mood of resentment, annoyance and frustration needs to be heeded. With many thanks to: Gerry Moriarty (northern editor) and The Irish Times for the original story. Belfast City Council’s recent decision to allocate upwards of £200,000 to ‘bonfire diversionary projects’ is little more than a sectarian carve up coming at a time when this city needs serious and sustained investment in health and well being projects, in jobs and in its young people. 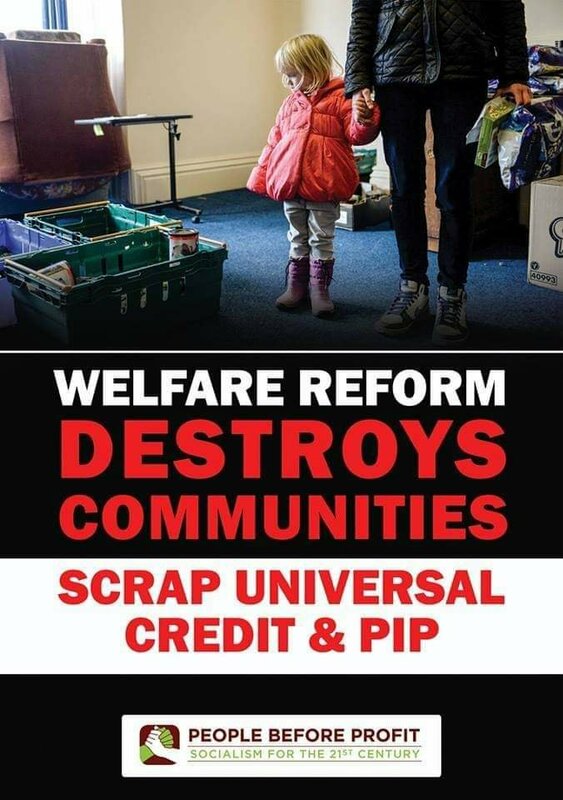 It is appalling that as we come to terms with the news of 10 drug-related deaths over the Christmas period, an increasing reliance of food banks, rising fuel poverty and some of the highest levels of social deprivation, that public money is squandered in this manner. It beggars belief that with all these problems on our doorstep that some city councillors can turn a blind eye to the levels of human misery that exist locally in favour of a rave in the Falls Park and a big night out in Woodvale. People in west Belfast have the lowest life expectancy in Northern Ireland, 34 per cent of local children live in poverty or in low income families and more than 40 per cent of houses are in fuel poverty, meaning that people can’t afford to heat them and the number of local people suffering with mental health problems is three times higher than in other areas. Add to that the problems of homelessness, addiction and low educational attainment and the very idea that these should take second place to a rave and a concert is deeply offensive. The promise of Sinn Féin lord mayor Deirdre Hargey to build a “…healthy, harmonious and prosperous society” will mean nothing to people facing hardship and hopelessness when they see the resources that could have made a difference to their lives, and the lives of their children, frittered away on a musical one-night stand. With many thanks to: The Troops Out Movement for the original posting. WHEN over 200 Irish citizens from the North signed an open letter to An Taoiseach Leo Varadkar in December 2017 it came at the end of a tumultuous and politically defining year. That January, the Good Friday Agreement political institutions collapsed amidst the political and financial scandal of RHI. It served to confirm the growing view of northern nationalists that political unionism was not committed to proper power sharing. 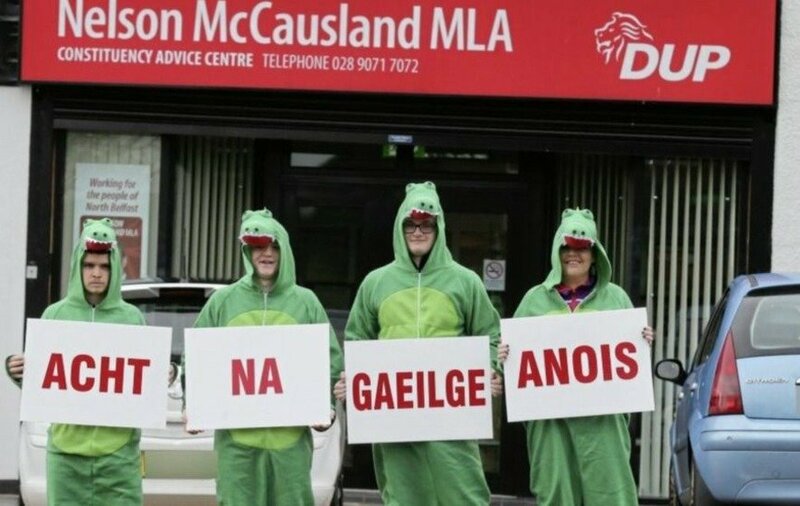 The disrespect for the Irish national identity and repeated mockery of the Irish language by DUP elected representatives, the punitive scrapping of the Liofa bursary scheme by a DUP minister, and then insults from that party’s leader during the March assembly election mobilised the nationalist Republican electorate: in turn the unionist political majority in the assembly was ended. Increased unionist belligerence continued, and then, the nationalist constituency sent a stark message during the subsequent Westminster election, that it was turning its back on Westminster. Of course, the political process in the North had already been seriously destabilized due to the result of the EU Referendum in 2016, when a majority of people in the North voted to remain in the EU. 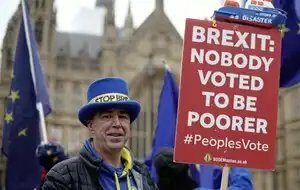 The British government ignored that democratic result and the emerging negative Implications of Brexit became major talking points. The potential reinforcement of partition, the erosion of citizen’s rights, the undermining of the Good Friday Agreement, and the denial of the democratic wish of the North to remain in the EU, all became mainstreamed as profound concerns in daily conversation. This culmination of events and concerns motivated me and others to make the first direct public appeal to Leo Varadkar to stand up and speak out in defense of Irish citizens’ rights in the North. We were not surprised to discover that many from across all sectors in society had no hesitation in adding their names to this initiative. Indeed, in the aftermath of the publication of the letter the only complaint received was one from people annoyed that they weren’t asked. We felt it was essential that Irish citizens in the North heard reassurance from the Irish government that the reality of abandonment experienced by our parents and grandparents would not be visited upon our generation. An Taoiseach pronounced that northern nationalists “will never again be left behind by an Irish government”. And yet despite a series of meetings with both An Taoiseach and Tanaiste, Simon Coveney, and further statements from both, the deep discontent which we helped to highlight throughout 2017 has remained intact. As a result of the increased political disarray at Westminster, the in fighting within the British Conservative Party and British government, and the destructive influence of the DUP on both; coupled with the continuing political crisis and denial of rights and democracy in the North, our civic initiative decided to write to An Taoiseach again. This time, in November 2018, over 1,000 citizens endorsed another direct appeal to An Taoiseach and his government to act in defense of the Good Friday Agreement and citizens’ rights. Most significantly, between December 2017 and November 2018, the nationalist discontent to which we gave popular expression has not only grown, in fact a seismic shift has occurred within wider nationalist opinion. Having turned its back on Westminster in June 2017, nationalism is now looking beyond the parameters of what was the northern state. Brexit has changed everything. Old certainties have gone. Conversations about the future, and future constitutional change, are happening in unexpected places. Citizens who once looked to Westminster are now considering new scenarios. 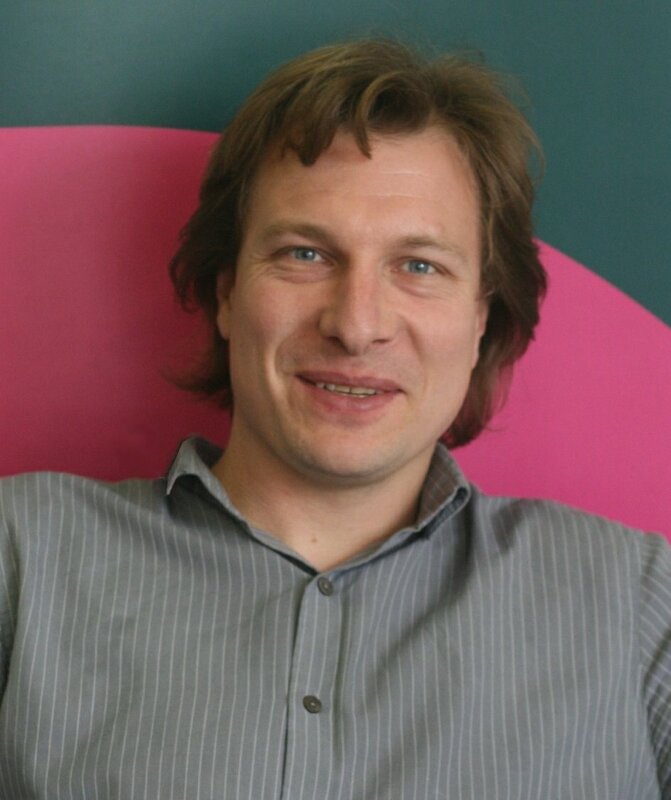 New arrangements and new relationships are being considered. Ireland has changed dramatically over the course of the past 20 years. The North has been left behind. 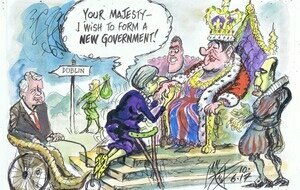 British government policy has turned it into a political and economic back water. The veto of the DUP and others in political unionism has blocked the development of a shared, secular society based on rights, civil liberties and anti-sectarianism. It is within this context that the Beyond Brexit – the Future of Ireland conference has been organized. We seek to provide a space for a discussion to begin somewhere. We believe this is the right time to have a conversation about the future. Failure to encourage and embrace that potential would be reckless and irresponsible. Our children and new generations deserve a better future, better than our past. So come along and have your say this Saturday. Play your part in helping shape the future of our country. 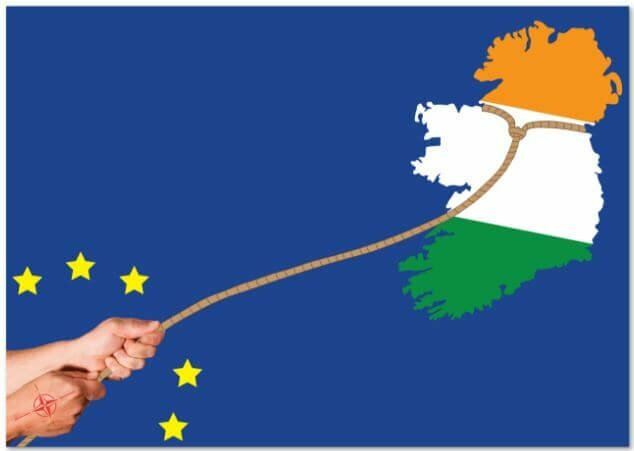 Register at https://www.eventbrite.ie/e/beyond-brexit-registration-49981301418. The event will commence sharp at 11am, with registration desks open from 10am. With many thanks to: Niall Murphy is an organiser of Beyond Brexit – the Future of Ireland conference. Jim Gibney’s article (January 2) on the first action in the War of Independence in January 1919 and the revisionism surrounding it, while grounded in error and laced with irony, was particularly topical although absolutely no one familiar with the area would ever associate Soloheadbeg with Clonmel; it would be akin to referencing Bellaghy from Coleraine, Clonoe from Omagh or Camlough from Craigavon. Stan D O’Brien’s recent publication John Joe’s Story, based on his father John Joe O’Brien’s account of the that period is completely essential reading for those who wish to fully understand the Galtee Battalion of East Limerick and the 3rd Tipperary Brigade’s campaign which relentlessly hounded crown forces throughout South East Limerick, North Cork, all along the Glen of Aherlow and beyond from their Galbally/Ballylanders base. John Joe and his brother Ned had been central in providing safe billets, transportation, munitions and intelligence in that theatre of operations. Ned, of course, also executed RIC Constable Enright immediately upon him putting a revolver to Vol Séan Hogan’s head during the daring Knocklong ambush which freed Hogan while he was being transported to Cork gaol. Their close comrades Ned Foley and Patrick Moran were subsequently the last two republicans executed by British forces although the latter had played no role in the rescue. Modern-day revisionism, which has seen the current Dublin administration list British military and local collaborators alongside Ireland’s patriot dead on the insulting Glasnevin ‘Memorial’, now seems to be seeping southwest as attempts are made to ensure that volunteers who fought to free Ireland are to be remembered together with those they killed at Soloheadbeg, as if no ideological difference had ever existed between them. Such revisionism is of course not exclusive to 26-county political parties. New Sinn Féin (NSF) have become master craftsmen at the dark art. Michelle O’Neill, a successor to a job which never existed – Sinn Féin leader in the north – now tells us that the Provisional movement was always “totally committed to the Belfast/Good Friday Agreement” when that was absolutely not what was sold in small “family meetings” to republicans in the late 1990s. Their acolytes also repeatedly preach that the (dis)agreement is ‘sacrosanct’ while genuine republicans afford only the 1916 Proclamation that singular honour and respect. Other NSF surrogates have been reduced to writing pleading ‘Letters to Leo’ seemingly ignorant of the central counter revolutionary role that his political ilk have played over the last century beginning with the execution of 77 comrades of the Soloheadbeg men. Maybe it suits ná scriobhneoirí to remain as much oblivious to that history as it does Jim to ignore the modern ‘traitor’ outburst of his erstwhile comrade Martin McGuinness when accompanied by the ‘Clontiberet invader’ and the head of her majesty’s armed constabulary outside Stormont Castle for which he shortly later felt the need to seek approval from an ‘OFMDFM’ official. Perhaps Jim, ignoring your own political contortions may well be the purest and most dangerous form of all revisionism. With many thanks to the: Troops Out Movement for the original posting.